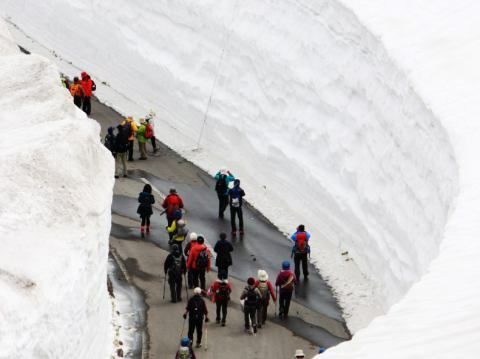 A lot of attractive spots such as activities besides nature! Please enjoy plenty of seasons. You can take a walk on the Forest Therapy Road or a water walk on the SUP. 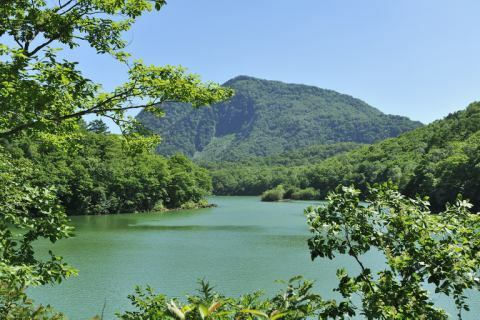 Biwa Pond is the second largest pond in Shiga Kogen. It was named from a place resembling the form of a musical instrument. Walking course of about 45 minutes to go around the birch forests of Chihan has been certified as a "forest therapy Road" with a healing effect. Autumn is especially at its best. In summer you can also enjoy SUP. Shiga Kogen a calm pond while looking at the mountains and trees of Shiga Kogen. 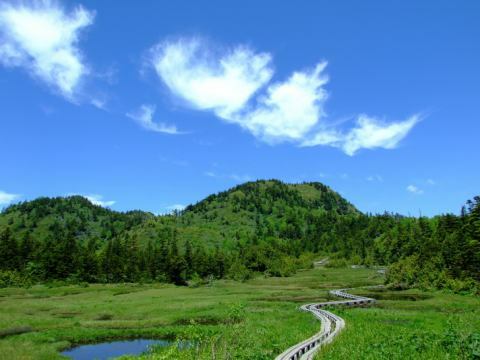 How about a pleasant water walk in the green season of Shiga Kogen? It is a high-rise wetland developed on the bottom of Lake Shiga, where the grasses such as Himeshakunage, Watasuge and Mosensen grow on a thick peat layer. A wooden path is set up, and you can take a walk with almost no ups and downs. 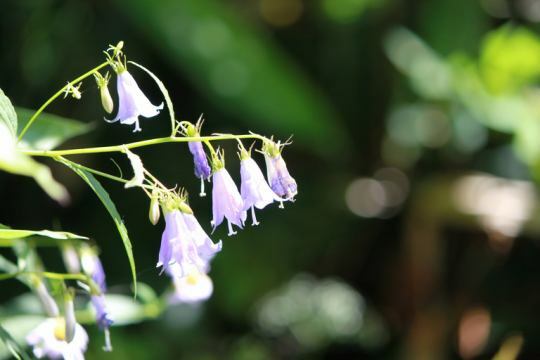 Of course, you can enjoy various flowers from early summer to autumn. The hub spot "Shiga Kogenyama Yama-no-Eki" in the central area of Shiga Kogen which is also the nearest bus stop. It is a facility that once renovated Yamakushi Station "Hasuike Station" of Shiga Kogen Ropeway. 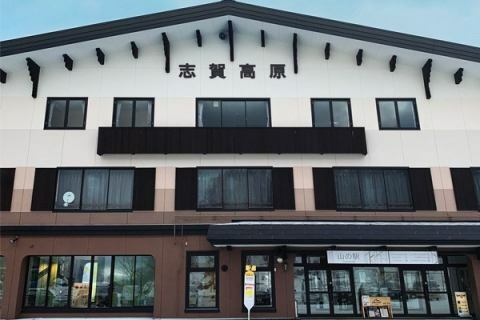 A restaurant that uses local Shinshu ingredients, a shop that handles souvenirs and other fine items in the prefecture, and rental equipment stores are in use, and it is used by many as Shiga Kogen's sightseeing and transportation bases and resting spots. 40 minutes by car to Ryuo Mountain Park (ski park). 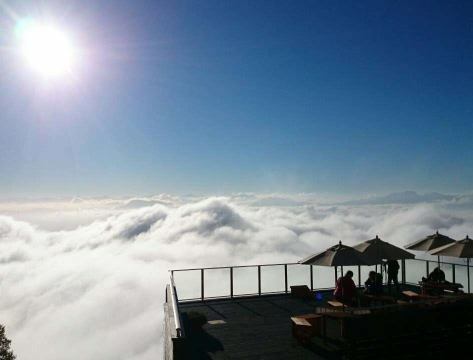 The terrace above the clouds, built on a steep slope at 1770 meters above sea level, overlooks Nagano City, Nakano City, Iiyama City, and Kijimadairamura. If the conditions are met, the sea of clouds is spreading, and a fantastic world that only visitors can taste is spreading. You can also enjoy your meal at the adjacent "SORA terrace cafe". Mt. 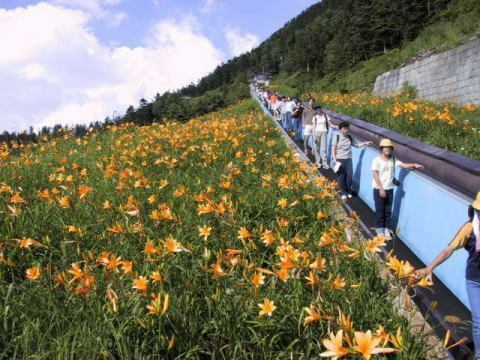 Yokote, walk on the air on the moving walkway "Skyrator"
Mt. Yokote altitude of 2,307 m. On sunny days, you can see the Northern Alps and Mt. Fuji in the distance. The summit, there is Japan, known for the nickname of "clouds bakery of" high place bakery of Mt. Yokote top Hutte", Japan's first crumpet shop "crumpets Cafe". Jigokudani Monkey Park Monkey, famous for its snow Jigokudani Monkey Park. 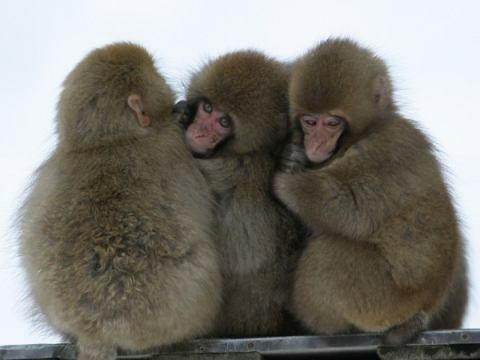 As a monkey entering the hot spring, it is widely loved by people all over the world. The hotel is about a 15-minute drive from the hotel and a 25-minute walk from the Snow Monkey Park parking lot. 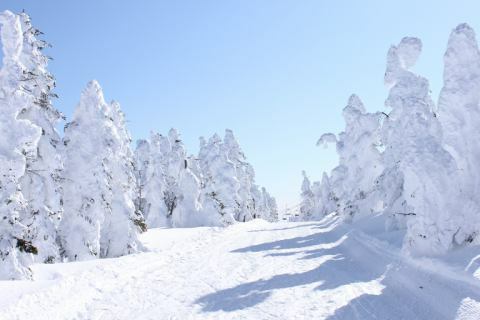 Experience Shiga Kogen's Powder Snow! In front of this facility is the Giant Ski Area. Stay in this facility and enjoy the winter fun of Yukimi Open-air Bath. 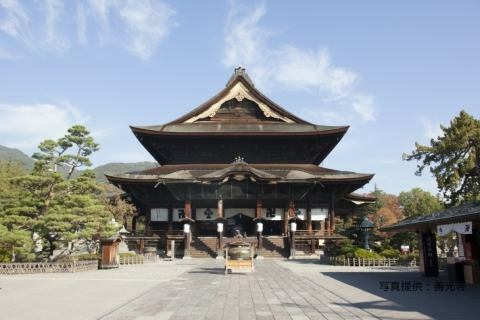 A tourist attraction "Zenko-ji" that represents Shinshu. The main hall is designated as a national treasure. It is also said that "only going to one's lifetime will bring you paradise." Open book is done in leap year and unyearly.